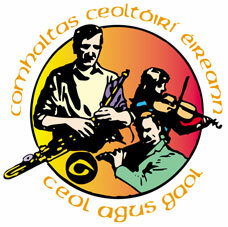 In this, the centenary year of the 1916 Rising, Wexford Comhaltas used the occasion of its AGM to honour some of those people from throughout the county who have contributed so generously of their time and talents in the promotion and preservation of traditional Irish music, song and dance. Councillor and out-going Treasurer, Ger Carthy, presented commemorative medallions, issued by the Ard Comhairle of Comhaltas Ceoltóirí Éireann, to these honoured guests. The recipients were: Martha Torpey, Gertrude Walsh, Barbara Walsh, David Roche, Paddy Berry, Liam Gaul, Sean Rattigan, Paddy Ryan, Seamus Coleman, Michael Murphy, Marcella Gleeson, Bernie Radford.